Minister wants review of additional posts in programme | Daily Express Online, Sabah, Malaysia. Kuala Lumpur: The Podium Programme has not achieved its primary objective as its funds were used to pay for additional posts in the programme, says Youth and Sports Minister Syed Saddiq Syed Abdul Rahman (pic). 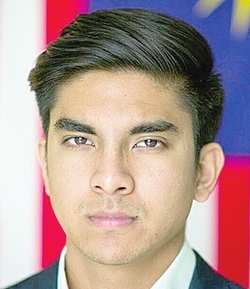 Syed Saddiq said after studying the ministry's financial report, he found that from an allocation of RM70 million, about RM50 million was used on athletes while the remaining sum was utilised to engage personnel, the majority of whom were foreigners. "I am not saying there are leakages, the problem is there were many additional posts created. To me, it should focus on the objective why the Podium Programme was established," he told reporters after opening the Astro Under- 15 Badminton Champions at Juara Stadium in Bukit Kiara. Commenting on the resignation of Podium Programme director Tim Newenham following the failure of the programme in meeting targets at the Asian Games and Commonwealth Games, Syed Saddiq said he did not point his finger at the sports planning specialist from Australia. However, he respected Newenham's decision and thanked him for the commitment since serving KBS in 2016. "I was just informed of the development for the first time, but whatever it is I thanked him for his service. At the same time, the performance was evaluated on both the Asian Games and Commonwealth Games in which we did not meet the objective of Podium Programme. There were many changes and improvements made especially in organisation structure as well as the roles played by the National Sports Council as well as the National Sports Institute and KBS. I have directed ISN and MSN to contact him. Then see what we can do in future. I need the full post-mortem and did not want to point fingers at one person or several parties soon after the Asian Games while many were quick to blame the athletes, this is not right. I also need to be responsible despite being new, I need to be accountable, MSN, ISN and sports associations also need to be responsible, this is a collective responsibility and we need to find the best solution," he said.